Or encourage the next generation to explore the great outdoors. Who said there’s no such thing as a free lunch? Well, there is now. In fact, this Saturday, March 23, the table is set for the current edition of Ravenna Marine’s Ice Breaker, an annual welcome to region’s open water that says as well as anything that it is finally fishing time for all of us who are winter weary. Owner Gary Tennefoss said he has scheduled a solid list of knowledgeable speakers for the all-day event, offering something of interest to every angler. And yes, there’s that free lunch thing. It’s deep fried fish and side dishes at high noon. Directions and complete details are found online at Ravennamarine.com under “events” or call 330-296-5590. Nearly all area marine dealers and fishing tackle retailers offer spring events. 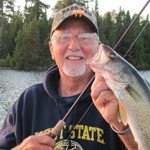 Attending one or more is always a great way to learn and plan for the upcoming fishing season. The approaching spring also offers the perfect time to encourage a youngster to turn off her or his electronic devices and turn on his or her awareness of the outdoors. The following hunting opportunities are provided as unique experiences to share with a youngster. Special opportunities will be offered for young hunters seeking to pursue wild turkeys in the Killbuck Marsh wildlife area refuge and the Mosquito Creek refuge this spring, according to the Ohio Department of Natural Resources’ Division of Wildlife. The Division of Wildlife will hold a drawing April 6 for a special controlled turkey hunting opportunity for youths within the refuge portion of the Killbuck Marsh Wildlife Area. Hunting dates are scheduled for Saturdays and Sundays from April 13 through May 19. Hunters 17 years and under are required to attend the drawing and are also required to present a valid 2019-2020 Ohio hunting license. 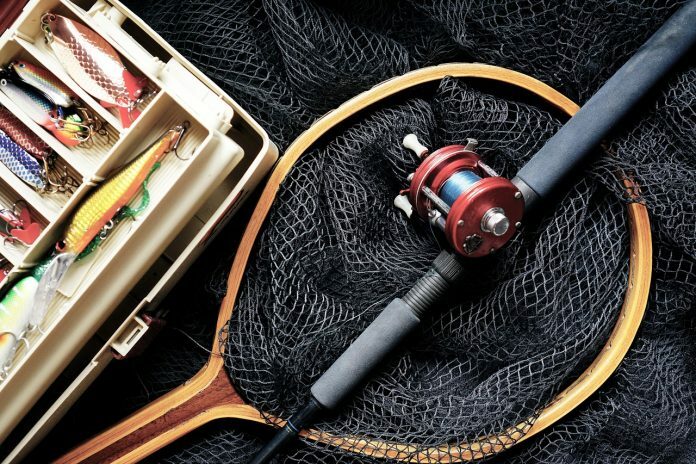 The drawing for Killbuck Marsh only will be held at the East Holmes Sportsmen’s Club, located 2.5 miles southeast of Millersburg on Township Road 310. Registration begins at 8 a.m. and the drawing will begin at 1 p.m. The drawing will coincide with a National Wild Turkey Federation JAKES event; dress for the weather. For questions regarding the drawing, call the Killbuck Marsh Wildlife Area at 330-567- 3390 or call Wildlife District Three office in Akron at 330-644-2293. Drawing dates and times, as well as hunting dates, are the same for the Mosquito Creek youth hunts. This drawing will be held at Trumbull Rod and Gun Club, 6575 Phillips-Rice Road (one mile north of State Route 88), Cortland. Registration begins at 8 a.m. and the drawing will begin at 12 p.m. The drawing will coincide with a “Gobbler Gathering” event which is sponsored by the Trumbull Federation of Sportsmen’s Clubs and Trumbull Rod and Gun Club. Youngsters can enjoy a variety of shooting sports opportunities before the drawing; dress for the weather. For questions regarding the drawing, call Mosquito Creek Wildlife Area at 440-685- 4776. For questions about the Gobbler Gathering, call Tom Stith with the Trumbull Rod and Gun Club at 330-637-5614. Previous articleHow did we even survive?